This step-by-step tutorial shows you how to Install Kodi Maverick TV addon within 5 Minutes. With Kodi Maverick TV, you get Top 250, 4k video streaming, and many other genres. What is Kodi Maverick TV Addon? Maverick TV is an excellent all in one Kodi extension which enables the streaming of..
..and Movies (among other categories). 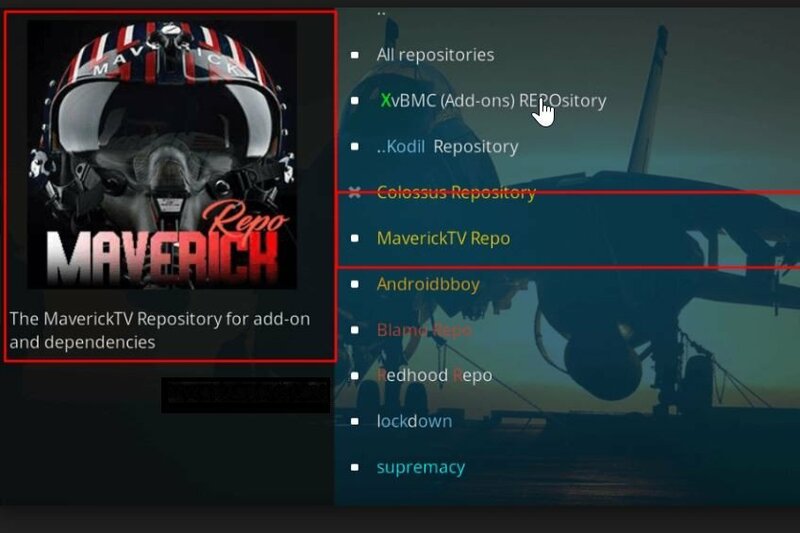 Maverick TV Kodi extension comprises of various segments, which includes: concert, jukebox, comedians, documentaries boxsets, genre, trakt, top 250, top-rated IMDB,24/7, sports, catch-debrid, new, 4K UHD, and search among others. It is always recommended you use Kodi with an efficient VPN, for security and privacy purposes. We recommend the use of IPVanish, in case you are searching for an efficient and less costly VPN. Reason being, it has many high-speed servers, which does not have log or regulations. KfireTV is not affiliated to builds, repos, extensions or Kodi. Besides, KfireTV is an information and news website and thus does not champion or allow the violation of copyrights. Therefore, you should only utilize Kodi with purchased content, which your own privately. Or, with content which is already in the public domain. Move your cursor to the top left, and click the settings icon. Then locate the file manager and click it. Click source on the left of the file manager. Then after expansion of the source, click NONE. Move your cursor down to the next box, name the box Maverick and click the OK button. Then verify if everything is appropriate and then click OK.
Now get back to the primary menu and click the icon of the extension. Then after the “Extensions” icon expands, move to the top left and select the “Extensions Package Installer”. Now, select install from Zip file. Then after selecting install from zip file, locate and select Maverick from a box which opens up. At this point, click the repository.maverickrepo-3.5.zip. Then take some time as the download process is taking place. Once complete, there will be a pop up at the top right, indicating Maverick TV Repo installed. Select Install from the repository, and click the Maverick TV repo. Then select video extensions, followed by clicking Maverick TV. Finalize the process by clicking the install button.